Small batch, artisanal ice cream in SF is competing head to head for our taste buds and hearts against our urges to just buy processed, convenient ice cream at the local grocery store. Store bought is convenient, yes. But it doesn’t compare to hand made crafted ice cream in the shops that dot our city like it’s part of the Candyland game. 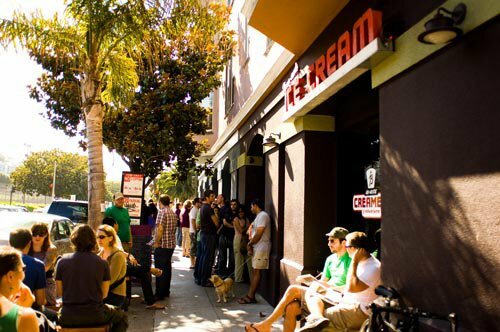 Recently sf.eater.com tasted their way through 14 top fun ice cream shops in the city. Here’s their scoop, or part of it. Bi-Rite Creamery at 3692 18th Street: considered by many to be the most popular IC shop in the city. Try the balsamic strawberry or the salted caramel—hand made, small batches, seasonal. You’ll probably have to wait in line, but well worth it. Cream on 3106 16th Street: ice cream sandwich heaven with their motto that Cookies Rule Everything Around Me. Build the best IC sandwich you’ve ever imagined. Fine, exotic flavors of cookies and ice creams. Humphrey Slocombe at 2790 Harrison Street: this is the laboratory of out-there ice cream flavors so you can get you ice cream freak on. Be sure to try the Secret Breakfast made from hand-cranked vanilla ice cream, corn flakes and Jim Beam bourbon. Also check out prosciutto, mushrooms, cheese, foie gras and other tantalizing concoctions. For the full list and an interactive map that’s pretty sweet, go here. The southern waterfront of San Francisco is very prized territory for the new wave of major developments cropping up around the city. 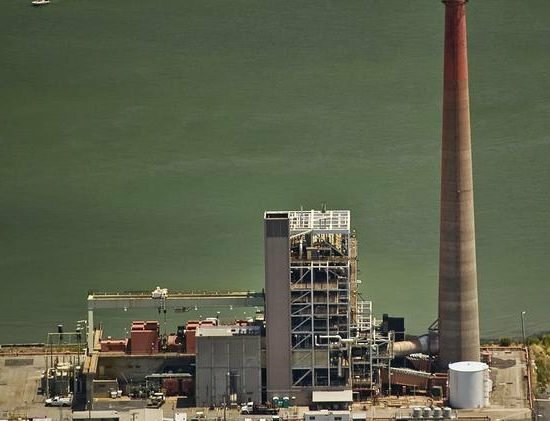 One of the more valuable prizes is the 21-acre Potrero Power Plant site which was just bought by a surprisingly small, nimble investor group that is led by Associate Capital. The group also includes Meg Whitman, CEO of Hewlett Packard Enterprise and chairwoman of HP Inc., and her husband, neurosurgeon Griffith Harsh IV – according to an article in bizjournals.com. Super rich clients can put anywhere from $100,000 to $5 million into targeted real estate development with the deals providing cash flow, tax benefits and high returns compared to other investments. 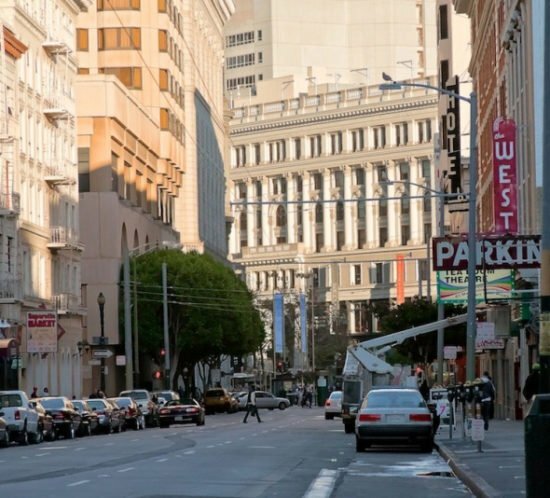 Not sure this is going to stick with San Franciscans (probably not) but one San Francisco real estate is trying to rename the Tenderloin neighborhood of a 16 square block area bound by Mason, Sutter, Jones and Market into “Union Square West.” Of course Union Square West doesn’t exist. It’s a marketing name de guerre in the ongoing battle for selling real estate based on what’s perceived as hot. The Tenderloin name is liked and loved by San Franciscans and the neighborhood has its own gritty-being-gentrified look and feel. According to furious blogging (done mostly by younger, hipper, protective of SF culture people) going on in the city trying to equate the Tenderloin with Union Square or create some kind of real estate crossover is ridiculous and being hotly ridiculed. And it’s not new. In the 1980’s a “Union Square West” highrise condo was proposed by a developer trying to drag Union Square into the Tenderloin but residents rose en masse to defeat the building and in 1985 rezoning in the Tenderloin barred future highrise development. 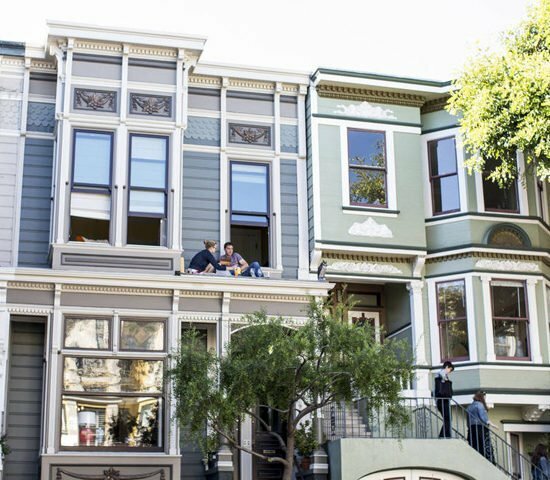 One could assume that real estate value in San Francisco is mostly based on the building itself, on all the design, materials and crafting and location that goes into a residential home or condo. But no. In SF that’s not true. According to experts 80% of the value in any given home property (and all properties) is in the dirt—leaving 20% value in the building itself. 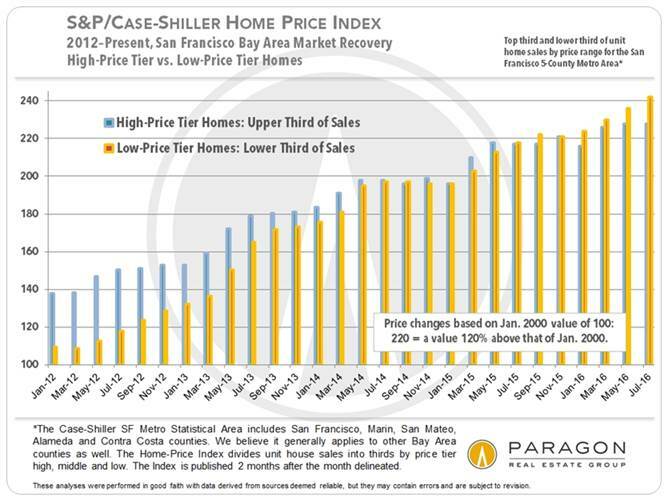 Arrian Binnings says, “There was someone in the 1880s who said there’s ‘gold in them thar hills’ and I’ve always said ‘those thar hills *are* gold’ because … it’s extremely valuable dirt we have here.” The land-to-house value ratio in SF is the opposite of what many other cities experience. In Dallas, Texas, the land is worth 10% of the total land/building value. 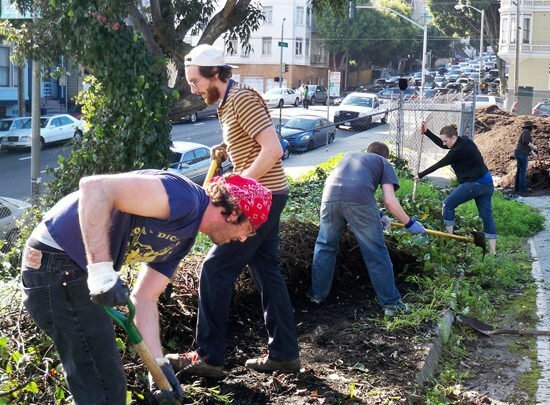 Currently there are only 18 vacant lots for sale in the city. And they are worth their weight in gold—almost. There’s a plot at 19 Arguello, adjacent to the Presidio entrance, is going for $5.5 million (with plans for a mansion thrown in). Over on 477 Eucalyptus Drive there’s a smallish, crumbling concrete pad on land that’s available for $1.6 million. In the Richmond District a small plot with weeds is going for $1 million. Binnings says that buying a lot and building on it is a risky venture as the cost of construction can include unforeseen expenses and do-overs. Here’s a once-a-year opportunity to step inside Victorian houses that come out of the very early 1900’s. The Victorian Alliance is staging its 44th Annual House Tour this Sunday, October 16th, from 1pm to 5pm. The walking tour is self-guided. The Victorians being visited this year are around the Duboce Park and in the Duboce Triangle. As a special feature this year a Victorian church is open to the tour, including gorgeous stained glass windows and finely crafted woodwork in the church’s sanctuary. Complimentary refreshments are served in the church and the Alliance’s gift shop will be set up for early Christmas shopping. An illustrated program is provided to the tour walkers. Shoes should be comfortable and clothing layered. Be prepared to climb stairs to the home’s upper floors. The Alliance urges using public transportation as street parking is limited. This is a fundraising event that benefits The Victorian Alliance Grant Program. This program has awarded more than $350,000 to historic preservation projects since the organization’s founding in1973. Click here for the Victorian Alliance’s announcement and to buy tickets. It’s raining hospitality construction proposals in SF these days. Another one landed just recently to plant a new hotel in the very hot SoMa area. 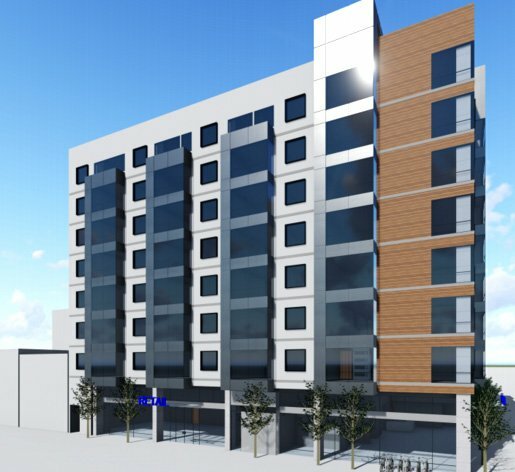 There’s one difference here: the seven story 120-room hotel structure will have an 8th floor with five fine residential units constructed into it. The hotel/housing combo will be erected at 300 Fifth Street, with the proposal filed by Stanton Architecture, acting for the Wong Family. Currently, there’s a Shell gas station occupying the site. The building’s ground floor (certainly an amenity for the residential unit owners) will include a lobby, bar and breakfast room and retail shops along with offices and back-of-house spaces. It could be that for the residential owners on the 8th floor the hotel is offering concierge service. This proposed project is one of several that are already swinging cranes near AT&T Park, at 55 Howard St, at 1125 market St, at 744 Harrison St, and at 399 5th St. The new spurt of hotel projects has observers speculating that hotels are being developed over residential housing because of the city’s passage of Prop. 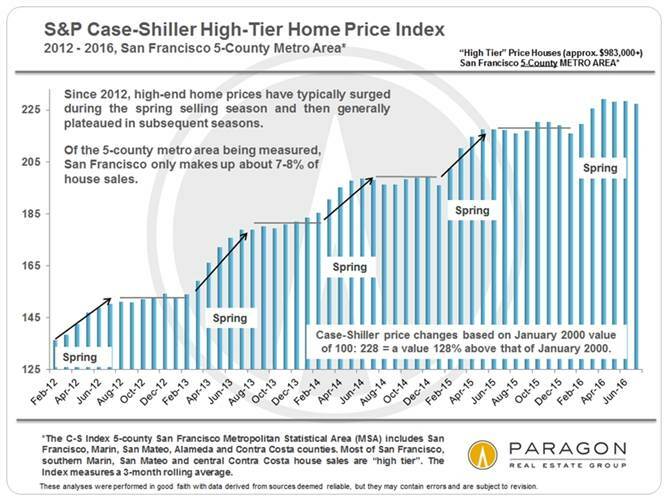 C in June, requiring more affordable housing to be built into market-rate projects. Recently a SoMa condo project has morphed from condo to hotel construction. Heartwarming café reopening and freebie breakfasts on Friday, Oct 14th—oh its great to go café and eating event hopping in the city. The online culture-zine sfweekly.com just came out with its Monday 10 roundup of good eating news. The Elite Café at 2049 Fillmore (had changed hands and closed earlier this year) is now serving up a new menu from New Orleans native chef Chris Borges. If you love biscuits, you’ll find their famous Meetinghouse Biscuits there at 2 for $5. Too-good fried chicken and great remoulade salads. Make a morning date on Friday, October 14th, at Uno Dos Tacos, 595 Market, which will be honoring International Egg Day (who knew?) with give away breakfast burritos stuffed with eggs, potatoes, cheese and house salsa fresca. 8 to 10 am while supplies last. 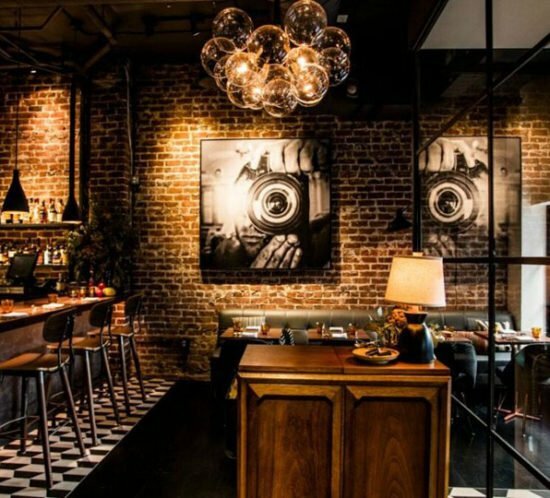 A new cocktail bar and restaurant named Rambler at Union Square opens this Thursday (tomorrow) at the Hotel Zeppelin (but, of course as Ramble On is a Led Zeppelin song) at 545 Post. Divinely cooking up seafood and serving what’s-that-cocktails. Dinners now. Breakfast, brunch and lunch soon on the docket. Get your chowder bib out for the Saturday, October 22nd Wharf Fest and Chowder Competition. Fun for all at Pier 43 with 50 booths of crafts, beverage tastings and the noon Chowder Competition for $15/$20 at the door which brings over a dozen chowder slingers out to fight for the best chowder in the city. Click here for the whole Monday 10. 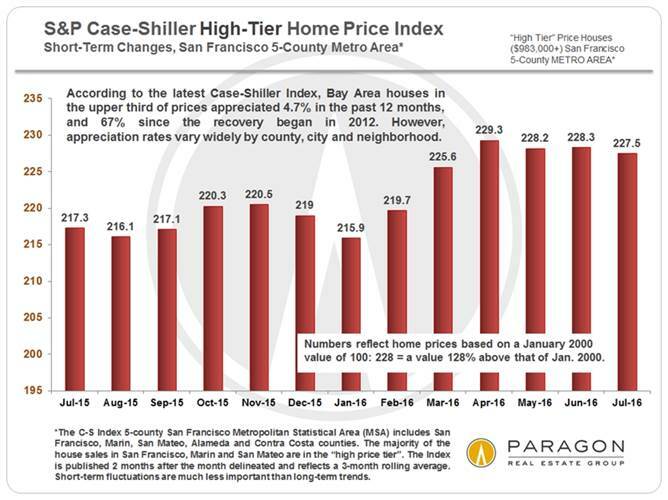 The Wall Street Journal and other mainstream financial news outlets are now caught up in reporting that a fairly serious crash is going on in the rental markets in New York City, San Francisco and San Jose. New York is being impacted to the tune of a 20% downturn in rentals even as rents go down or incentives to rent (like free rent for a up to six weeks) go up. 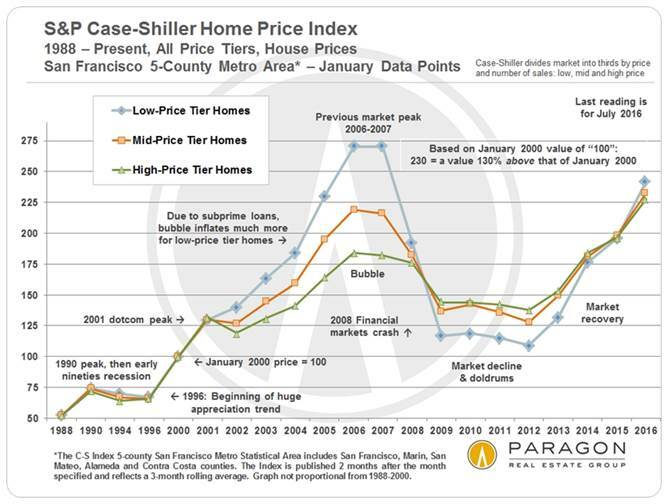 What’s happening is that there are so many rental units coming on the market in a kind of perfect storm of supply glut. The rental market in these big cities has been in a long boom. Seven million new renter units have been built nationwide since the foreclosure crisis in 2006-7 plus a trend toward urban living. The home ownership rate declined to a 51-year bottom. 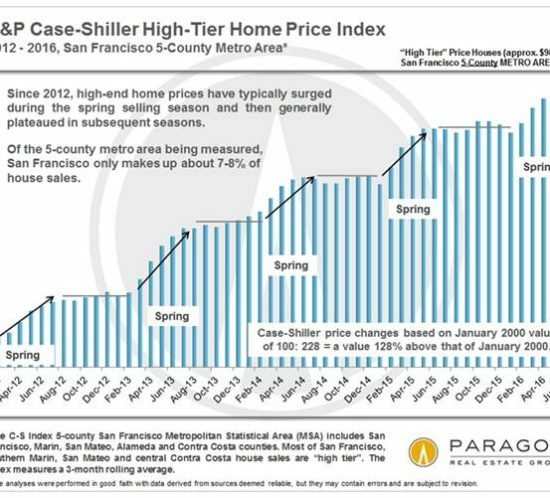 In San Francisco there’s been a one-two punch of a reduced job availability in the middle and upper class ranges and a huge jump in multi-unit housing coming on the market. By the end of 2018 there will be 6,500 more apartments to fill with tenants. New York is projected to have 42,000 new units on tap in that same period. 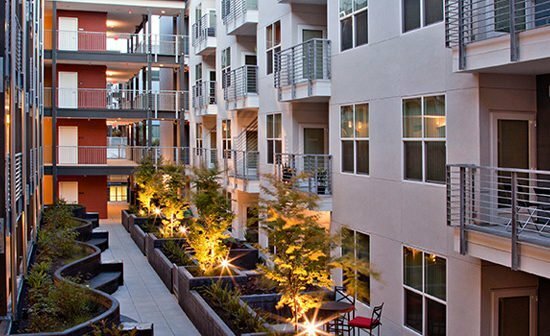 San Francisco, Oakland and San Jose are seeing a 76% surge in new apartment units in 2016. One of the results is generous incentives offered by luxury and semi luxury towers to get people to move in—from giving away free bikes to four weeks of free rent or $1,000 discounts for renters saddled up with tech companies like Apple. 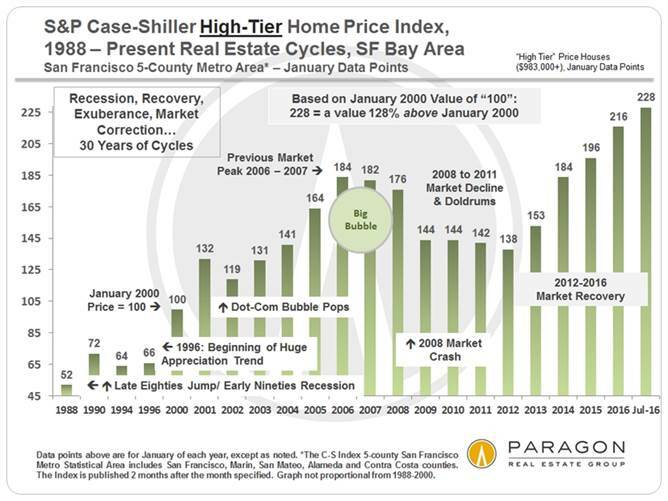 And some rent prices are coming down in the luxury level class. Charming Street Lamps on Van Ness Replaced By The Uglies? Uh oh. This is bad. 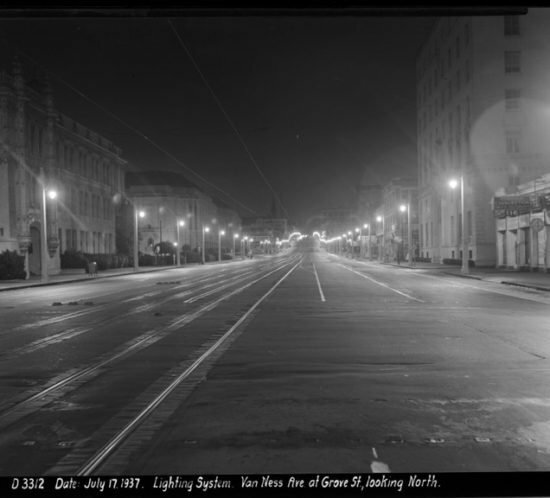 One of the great driving experiences of the city is cruising down the wide lanes of Van Ness Avenue at night with the beautifully wrought street lamps all ablaze. There’s even a fond name for this stretch of avenue that’s officially part of Highway 101: Ribbon of Light. And now the Ribbon of Light is about to be mowed down and replaced by a strip of modern sticks that give off light. The plan is courtesy of the San Francisco Mass Transit Authority. The San Francisco Board of Supervisors are urging the SFMTA to stop the plan. The lamp change is part of the mass transit authority’s makeover of Van Ness to make it less congested, including the startup of the Van Ness Bus Rapid Transit routes that reduce the two center lanes of traffic to necessity bus lines. The lamps were originally put up in 1915 for the Panama Pacific International Exposition.